If all knows are truths and some unknowns are known, which of these statements must be true? Travelling by Dart avoids the traffic. But what if you were driving and you calculate that you must achieve and average of 60 km/hr to make your destination on time? The traffic is heavier than anticipated but clears when you reach the half-way point where you realise you have only managed an average speed of 30 km/hr. What average speed would you have to drive for the remaining half of the journey to arrive on time? What is the next entry in this sequence? 24 x 8 + 48 = ? What is one million plus ten thousand plus one thousand plus one hundred and 10 plus eleven? Which is greater a third of half of sixty minutes or six times two -and-a-half times one minute? Three customers are charged €30 between them for their pizzas. They give the waiter €10 each and when he gets to the till he is told that the bill should be €25 and he is give 5 €1 coins change. Unable to divide €5 by 3 he gives the customers €1 each and slips €2 into his pocket. So the customers page €9 each that's €27 and the waiter has €2 - that's €29 where is the missing euro? Why are most manhole covers circular? An array of squares that will fold into a cube is called a net of a cube. Which of the following nets will not fold to make a cube? Thanks to DART and Irish Rail we have a series of great posters on the DART and in Dublin commuter stations. A square medieval castle sits on a square island surrounded by a square moat and was under siege. All around the island, there is a 5 metre wide water moat. There's ground on the other side to rest the bridge on (if you can get it to stretch that far). The attacking king sent his men back to build two wooden foot bridges. Unfortunately these clever men came back with two bridges exactly 5 metres long. (that meant that they couldn’t be supported on the ground at both sides of the moat). They have no nails or rope is there any way they can get across? A client wants to double the size of his car park (shown below). He insists on retaining a square shape and as many of the trees as possible. What is the best solution? It is impossible to arrive on time. Doing the calculations will yield an answer of infinity. By driving at half the required speed the allotted time will be used up at the halfway point. For example, suppose that the time allowed for the journey is one hour then the distance would be 60 km and the half way point will be 30 km. Travelling at 30km/hr will take one hour to reach the half way point - therefore no time left. An appreciation of the history of mathematics can motivate some students as it gives an insight into how great mathematicians of the past have experimented with the subject. Carl Friedrich Gauss was not always the old man shown in this portrait. This famous mathematician showed early promise when at the age of 3 he corrected a bookkeeping error of his father’s and as a youth astounded a teacher by finding a quick way to add up all the numbers from 1 to 100. The story of the 350-year quest to solve Fermat's Last Theorem which was finally achieved by Andrew J. Wiles in 1994, after eight years of intensive and creative work. The mathematician Abraham de Moivre developed a great amount of new mathematics and is also famous for predicting the day of his own death. He found that he was sleeping 15 minutes longer each night and this added up to the fact that he would die on the day that he slept for 24 hours. Unfortunately he was right! This is a comprehensive collection of biographies and a great reference for maths teachers or students in middle school and above. It also contains posters and mathematical stamps which can be used for wall displays and posters. This page indexes the same collection of biographies by significant dates (births, deaths, key discoveries). Looking up what mathematical anniversaries are being celebrated on any given day of the school year can be fun. History of Mathematics for young mathematicians. Contains interesting stories on women in mathematics over the years. A secondary school maths class in America created this Website of 32 mock interviews with famous mathematicians in 2001-02. Your students will find the interviews fun. There is also a set of resources at the end of each interview. On this site students can take a preferences quiz and find mathematicians with similar interests to them. Website gives you their top 100 mathematicians of all time. This site includes some biographies of mathematicians. Marcus du Sautoy presents this BBC series on the history of mathematics. These two volumes, featuring 15 compelling stories in each are written for ages 8-12. They are great for reading aloud to a class, or for independent reading for students aged 10 and above. Math & Mathematicians: The History of Math Discoveries Around the World, Vol. A-H and I-Z, by Leonard C. Bruno. UXL, 1999. This two-volume set is organized alphabetically, like a selective math encyclopaedia, with 50 short biographies (including fourteen 20th century mathematicians). It includes a detailed mathematical timeline, glossary, and alternate table of contents organized by math field and ethnicity. The writing style is reasonably accessible for upper-primary read-aloud (with some paraphrasing) or for independent reading at secondary-school level. Mathematics at all levels is about the joy in the discovery; it's about finding things out. This fascinating book is a guide to that discovery process, presenting ideas for practical classroom-based experiments and extension activities. Each experiment is based on the work of a key mathematician who has shaped the way that the subject looks today, and there are historical notes to help teachers bring this work to life. These stories are lively and embellished with fictionalized details. Math Through the Ages: A Gentle History for Teachers and Others, Expanded Edition, by William P. Berlinghoff and Fernando Q. Gouvea. Mathematical Association of America, 2003. This engaging book, organized by mathematics topic and is recommended for students 10 years and older. The expanded edition includes classroom resource material. 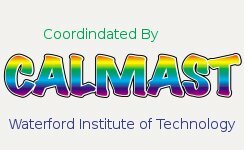 Please note that CALMAST / Maths Week Ireland has no control over the content of these sites. Teachers and parents must satisfy themselves as to the suitability of any of these sites. Student teams move around a room (classroom/Hall) tackling the puzzles. For each puzzle challenge they are given a set amount of time. Each team gets a score depending on how many puzzles their team solves. Teams are given puzzle challenges. Once the team has solved the puzzle correctly they are given the next. A set of puzzle challenges is given out at the beginning of the week to all students in the school. Quick-fire short puzzles can be given out daily. Puzzle.com is a fantastic website full of great puzzles. All puzzles come with clear solutions. There is an enchanted place where every sign is a puzzle, every question a riddle…. Primary Mathematics Challenge papers from 2008 to 2011 with answers are free to download. These questions make a good source of puzzle challenge questions for team games. There are many geometrical links between mathematics and art. During your Maths Art Day you can choose to explore a certain artist or style of painting with the students creating their own art or posters. The Golden Ratio was thought by the Greeks to have certain aesthetic properties which link to nature. It has been used by artists and architects for generations. See Dr Maths (aka Steve Humble) uncovering the golden ratio in the architecture of a Cathedral. The teacher package on Maths and Art from Plus Magazine brings together all Plus content on maths and art in the following categories and is a good place to start and get ideas for your Maths Art Day; Maths and the Visual Arts, Maths and Design, Maths and Music, Maths and Film, Maths and Theatre, Maths and Writing. A website suggesting ways to use art to teach maths. Dublin by Numbers Maths Podcast. Dub1in by Numb3rs is a Mathematical Walking Tour of Dublin developed by Ingenious Ireland and launched for Maths Week Ireland 2011. It is free to download - Please use link at bottom of this page. While on your tour, you can also take photographs of mathematically related scenes or objects and upload them to this website. See below for instructions. Take photos on the trail and share them! While on your tour, you can also take photographs of mathematically related scenes or objects. And they'll be loaded onto the Dub1in by Numb3rs Gallery. a. Closing date for receipt of entries is 5pm on Friday, November 18th 2011.
send an MMS. Hard copies cannot be accepted. e. Only one entry is allowed per person. f. Photographs must be the entrant’s original work. "Do you know what my worst lesson is? It’s maths…but I really like doing maths when it’s outdoors!" "My favourite bit this week was the maths trail because it’s outside and you get to do more things." The above sentiments were expressed by children, who had just completed a maths trail as part of their school’s mathematics week. There are numerous mathematically rich examples, living and non-living, that can be found in the school playground, the local shopping centre, the neighbourhood park, the local sports ground, and the city museum/art gallery, to name a few. Take a walk on the wild side and create a math trail. The trail consists of a sequence of designated sites along a planned route where students stop to explore mathematics in the environment. We recommend introducing children to math trails by having them explore, in small groups, 4-5 areas of interest within their own classroom. Writing a maths question for the area they are in. Following several of these classroom explorations and follow-up class discussions, children could venture outside to create maths questions at 4-5 named locations. These questions can then be discussed and developed into your very own maths trail. Look at that. Look around you. What can you see? How long, short, tall, high, deep, heavy? How much do you see? How much more is hidden? Estimate the size, height, length, weight of …….? What is the name of ……..? Can you continue this pattern? What is the chance of that? What kind of shape? What shapes do you see? Draw them. Why do you think the path does not follow a straight line? What if we change this? What if we add a line? What if we add a shape? What difference does it make? Is it still symmetrical? Could you make a pattern with …….? Show that this works. Is it always true? Maths trails can also be designed to link strands and strand units of the mathematics curriculum. The mathematics curriculum can also be linked and integrated with other subject areas such as PE, geography, history and science, using a topic-based trail. Teacher-generated, designed for their teaching peers to trial, improve, and implement. A student-generated math trail, The Easter Trail. It was created by a class of 7-year-old children, with some teacher support, for a parent/child activity day. A Teacher-generated maths trail, Maths on the Quayside. It was created trialled and modified by 10-year-old children, with teacher support for a large cross school event. During the two day event 2,600 children walked this maths trail. A Teacher-generated maths trail, The Hidden Beauty within Durham City. It designed for 14-year-old children and their families to explore their local environment. The local Tourist Information Centre provide this trail to families who are interested in searching out the hidden maths in their city. Maths Week Ireland maths trail takes a walk down South King Street in Dublin. This trail is designed to show young people and families that maths is related to the real world around them and that while challenging, maths can be enjoyable. A pdf file which outlines the steps to making a maths trail, and gives some examples which are relevant to the Irish primary school maths curriculum. A Maths trail of the Botanic Gardens, Dublin designed by Marino College of Education. An example of a woodland maths trail, developed with a view to reinforcing school maths and making a link with a woodland environment. From the NRICH group in University of Cambridge. Gives ideas on how to develop a maths trail, and gives locations in the UK of cultural sites which contain maths trails for children. An example of a maths trail around the city of Newcastle. an example of a maths trail in the UK with downloadable material. Additional maths related material and activities suitable for primary school students will be continuously added. Please tell us about resources you have used and activities you have run in your school so we can share them. The following sites have fun interesting maths for kids and ideas for teachers. Please note that CALMAST has no control over the content of these sites. Teachers and parents must satisfy themselves as to the suitability of any of these sites. If you have any other good web resources for Maths please email us at MathsWeek@wit.ie and let us know. There are loads of great sites on the web with maths puzzles and challenges for all interests. Mangahigh's math games are designed with math at the core! A U.K. based website which covers basic maths skills with some simple and more complex stuff. Many maths resources for all ages. Select an age group from the left hand side of this screen. Problem Solving for Irish Second Level Mathematicians - interesting problems posted each week. This Canadian site has information on the maths olympiad and links to other sites. This British website features a great set of maths puzzles for upper primary children, which are ideal for printing out in colour and laminating, making a long lasting resource. A U.S. website designed for primary school children, which is full of puzzles and lessons which make maths fun. This Australian website has a lot of maths games and maths lessons designed for primary school children. This is a U.S. website with interactive maths activities aimed at 7-11 year olds. This website provides many different free maths worksheets and educational resources for all school levels. A BBC website dedicated to numeracy and maths skills, with activities for different age groups and abilities. http://www.bbc.co.uk/schools/numbertime/ For kids 4- 11 years old has songs and games etc. including printable worksheets to download. This website features games from the many different strands of maths. This website allows teachers and parents to make maths worksheets for a wide range of mathematical problems.